In this so-called digital age, we might have come a long way in terms of our lifestyles, tastes and expectations, but still the charismatic flavours of sixties never seem to fade out. From hair styles to clothing and home exteriors to interiors, it won't be wrong to say that the old fashioned classic appeal is here to stay like forever. And, why not? Traditional styled things like furniture for instance, let you put your sophistication at display. This is the reason as to why, high gloss furniture goods are popular till date and can be shopped from a variety of Web places. Furniture In Fashion store offers you high gloss beds in creamy, stone and other shades. However, black high gloss beds are actually the most captivating ones. Having a refined look, these beds resonate your bedroom with their ever-popular retro appeal in finish. But, before you jump to conclusion, it is to be rectified here that these beds have traditional touch in terms of their final finishing and not in terms of the style of their frame. Their shimmery, glossy appeal adds a sensuous yet soothing appeal to the bed. What's more? Irrespective of the interiors of your room, these beds fill up your room with the style and spirit of 60s. That's just not the end yet! The high gloss furnishings have been tested to be true to quality and endurance. This means that even after excessive usage, these remain unaffected from the regular wear and tear. So, even if the bed is placed in congested settings, you still won't face any complications and it is way too comfortable to be used in either of the sleeping or seating positions. Heading further, these beds are low on maintenance as well. So, whenever you plan to wipe off the gathered dust or remove the stains if any be, all you need is a piece of cloth to gently bring back the lost sheen of bed. Sounds like a good investment, isn't it? Well, if not, then there is still more to it! The colour black itself signifies exclusivity and class. 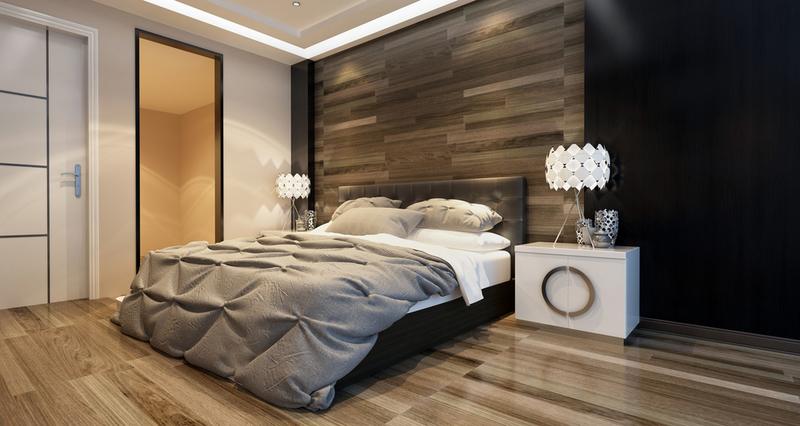 To top it up, usage of high gloss makes the bed look even more appealing. As a further complement, these are low priced as well. Beauty, functionality and affordability- everything put together in one piece of innovation- what else can one ask for? As for the availability part, these can be accessed in either of the styles, as- single bed, double bed or king sized bed, depending up on what exactly meets your specifics. Styles change, tastes change and even they say that people change with time. But, the retro appeal is one thing that is here to stay even for the years to come. So, when you do plan to invest money in the shopping of bedroom furniture then, why not do it wisely by picking the super classy and innovative black high gloss beds to spruce up your personal space to the fullest.